Gus Bradley said he may take a more vocal approach in practice this week after Jacksonville's loss to Tampa Bay. 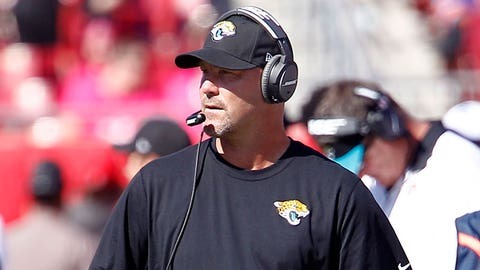 Jacksonville head coach Gus Bradley said Monday he planned to be more hands-on, emphasizing attention to detail among his players this week in the aftermath of Sunday’s 38-31 loss to Tampa Bay. While Bradley said the team may feel his presence more at practice, he also reiterated that turning around Jacksonville’s 1-4 start will largely depend on individual improvement from the players.